12 days before Christmas. Grandson's school has a fund raiser that makes excellent sense - Christmas cards with each child making their own guided art project. 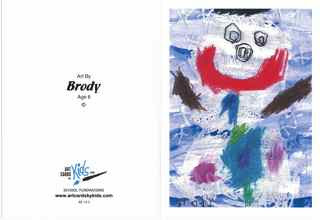 When I ran out of Brody cards I used Unicef and then whatever the drug store had for the final cards. I have to pick up Starbucks cards for all the school staff who work with B and Village Tea and Coffee cards for Village Antiques Mall staff. Those are on my Monday and Tuesday must do lists.